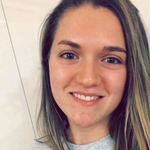 Maddie Perdoncin is a junior majoring in Biology and minoring in Chemistry at the University of Pittsburgh. Her research interests include genetic engineering and molecular biology, both of which she is able to explore through this project. She plans to pursue a career in healthcare.